Okay, we never want to think about hurricanes, but we have to and it's this time of year we need to refresh our memory on what to do. 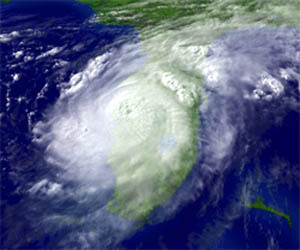 The main goal in a hurricane is to Stay Safe! And usually that means to evacuate low-lying areas. That means our islands. With hurricanes we are lucky that they usually come with a few days warning and we have lots of time to secure our homes, secure our boats, and plan where we want to go if a storm becomes imminent. Our local officials usually give the evacuation call and it's a good idea to pay attention to their advice. 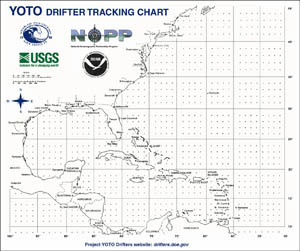 One of our best tools to help us follow a storm is a tracking chart. Some people have them on their refrigerators, or thumb-tacked to a wall. The picture to the left is a good tracking chart and you can click on the photo (or here) and then save/print the large PDF version. It's almost fun to follow the storms as they make their way across the Atlantic Ocean, but the fun rapidly changes as the "cone of probability" includes our area. To the right is a video of our annual hurricane awareness seminar put together by our local officials. They cover lots of facts and "need to know" things that might save lives. The speakers go over some pretty interesting trivia (hurricanes were first named after women when an Australian meteorologist got mad at his ex-girlfriend), to more important information (what supplies you need when you return to no electricity). It's a good idea to watch the video all the way through. Below are three links that help you understand our tropical storms and hurricanes, and ways to prepare for them, and follow them on local radar. 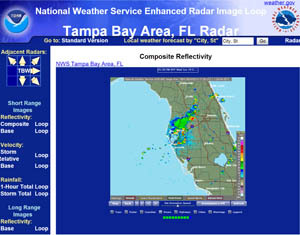 The local radar loop is also good just to check your daily weather and plan your day. So that's enough about bad weather! This week our weather is fantastic and it's a great time to shop for island property. Give me a call at 239-691-4915 or use my Contact Form. I promise to work as hard as possible to find you the perfect island home. Give me a call... the island lifestyle awaits!